New collection of Syrian Fitters photographed while performing air raids during the current unrest. 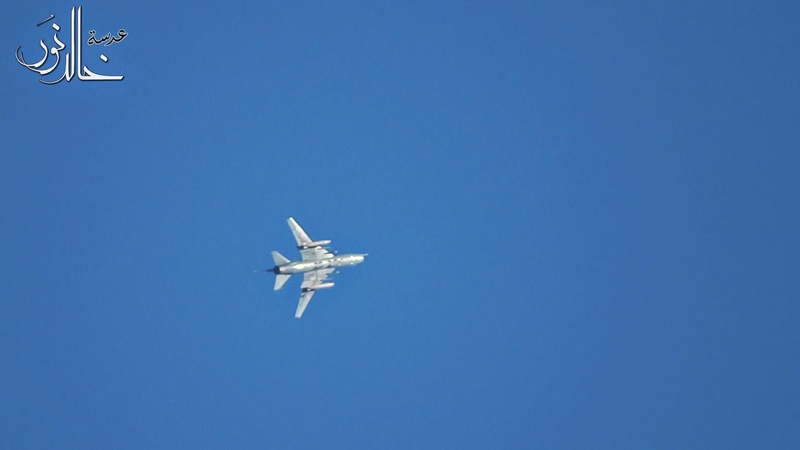 Above: one of the earliest photos -exclusively shared to Luftwaffe A.S blog- of a Su-22M-3 taken moments after taking off from Dmair AFB on 31st Dec. 2012. 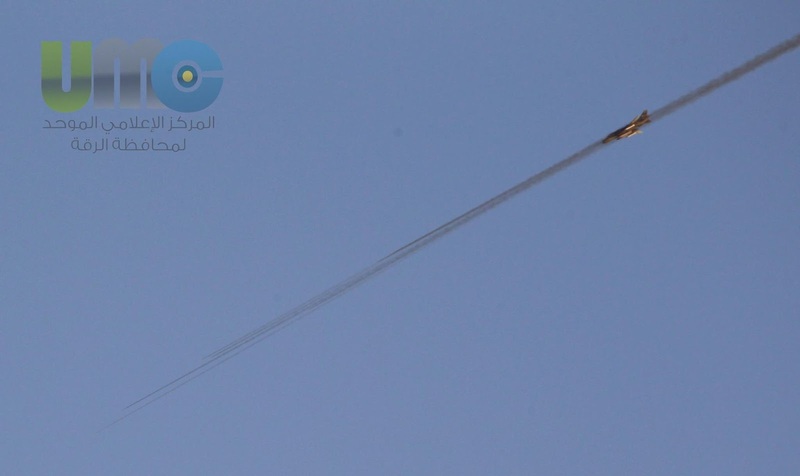 A photo for a SyAAF Su-22M taken while flying over the county of Idleb governorate sometime in 2013 carrying fuel tank under wings pylons and what look like a pair of RBK-250 Cluster Bombs under belly. 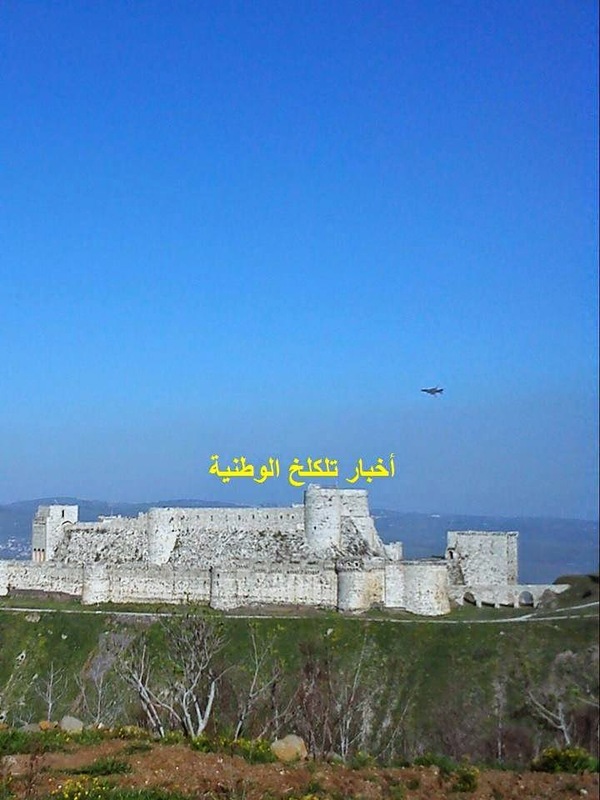 Syrian Fitter been spotted the day the Syrian Army could retake Al-Hosn Citadel "Crac De Chevaliers" in March 2014. 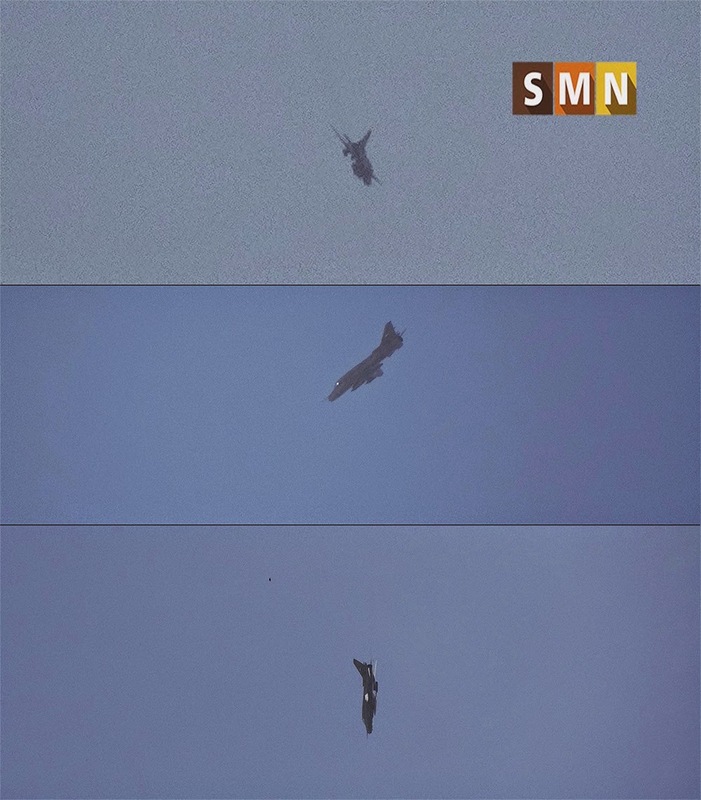 Unique shots for a Su-22M-4 spotted attacking ground target nearby Taftanaz town in the county of Idleb on 17th April 2014. 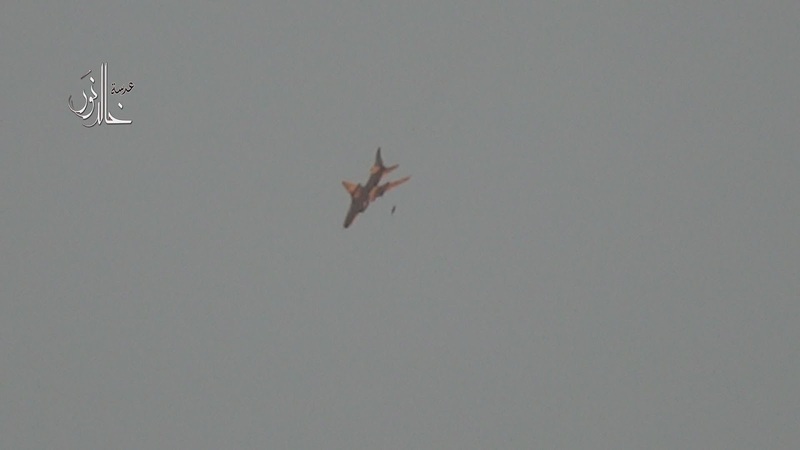 Recent photo for a SyAAF Su-22M spotted while dropping three dumb bombs over FSyA units in Wadi El-Deif in Idleb's county on 15th Dec. 2014 just a day after the fall of this area into the hands of FSyA. 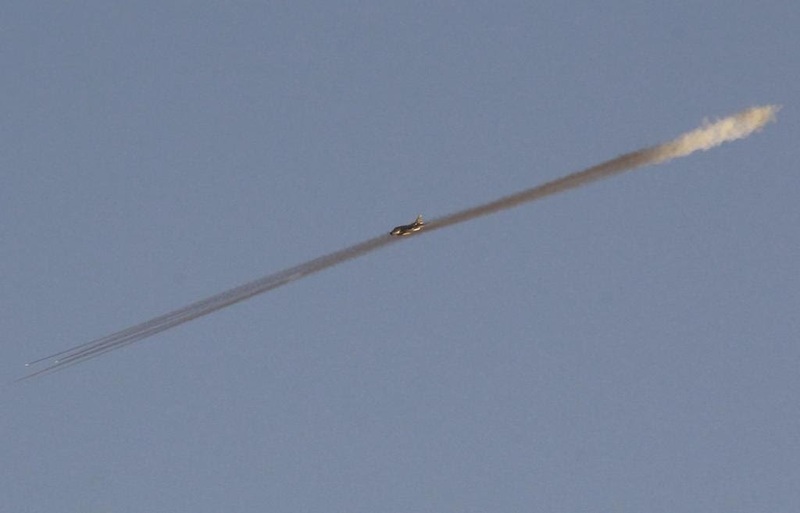 Awesome shot for a SyAAF Su-22M-4 firing S-8 unguided rockets nearby Tabqa town on 21st Aug. 2014. 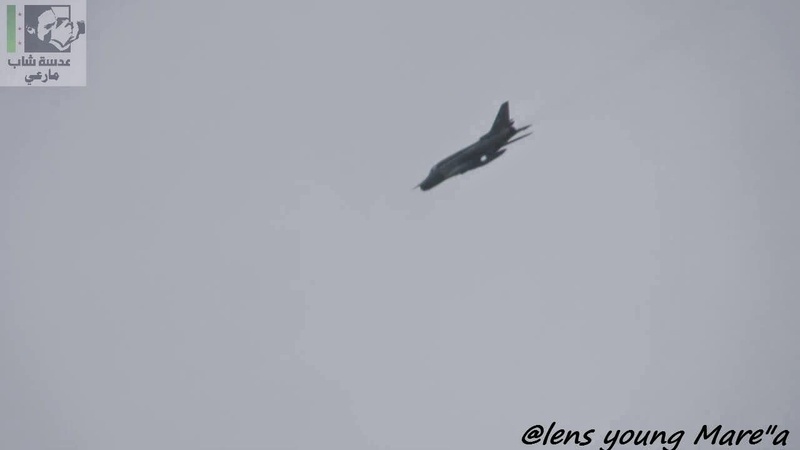 Another Su-22M-3 been spotted maneuvering over Dmair town on 9th Nov. 2013. 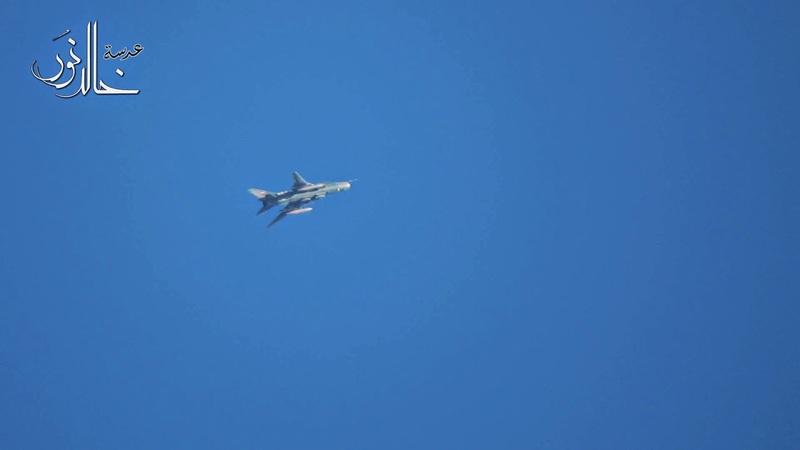 Su-22M-4 spotted as well over Mare' in Dar'a governorate on 31st Jan. 2013. 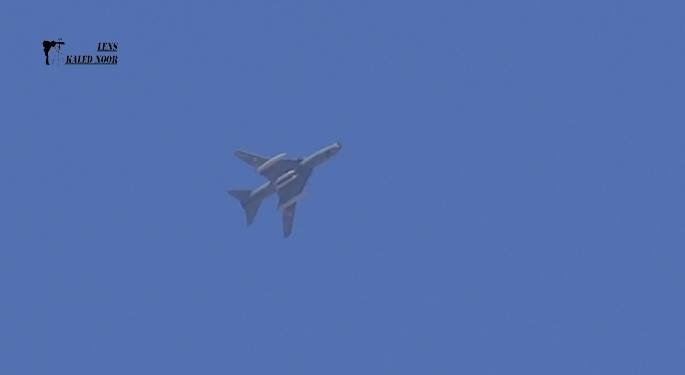 Su-22M-4 spotted maneuvering over Deir Sunbol (Idleb governorate) fitted with four dumb bombs under belly on 16th Sep. 2014. The same Fitter turning back to base after dropping its load. 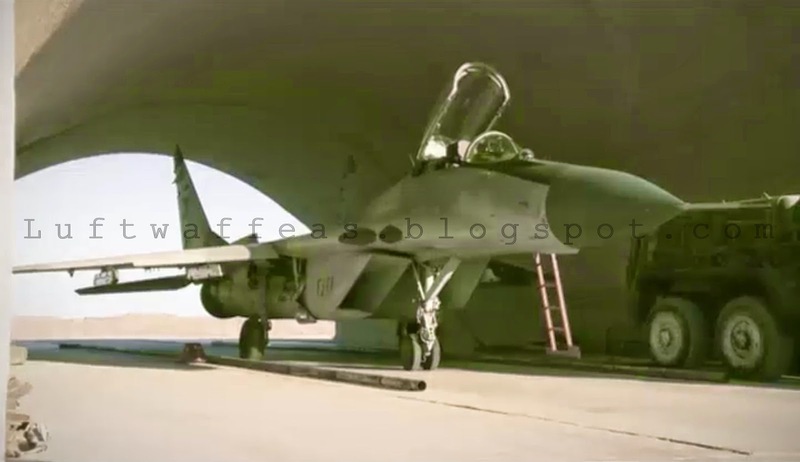 Stunning photos I liked to share here for the SyAAF agile MiG-29 which most of Syrian sources prefers to name it the MiG-29S or SM, as the fleet has received partial SMT package modernization in 'The Factory' overhaul facility located at Neyrab airbase (Aleppo IAP). 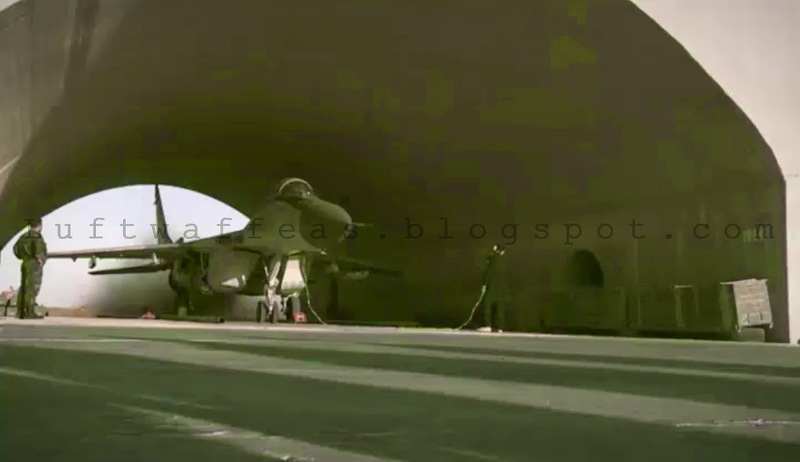 The photo above is extracted from a Syrian media published on the anniversary of Syrian Air Force recently in October 2014. 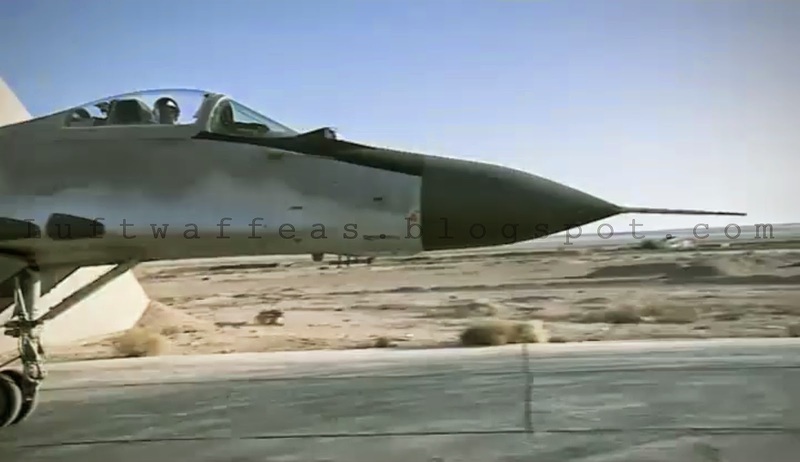 It represent a footage of pair of MiG-29S preparing to take off on the Seen AFB runway (from east to west). The one on left is serialed 3421, while the right one carries the serial 3425. The latter is very interesting with its R-27 air-to-air missile launch rail fitted on the pylon inboard. The 3421 MiG-29S inside a HAS the moment it runs engines. We can see here the same Fulcrum with its air intakes been closed preparing to taxi out. 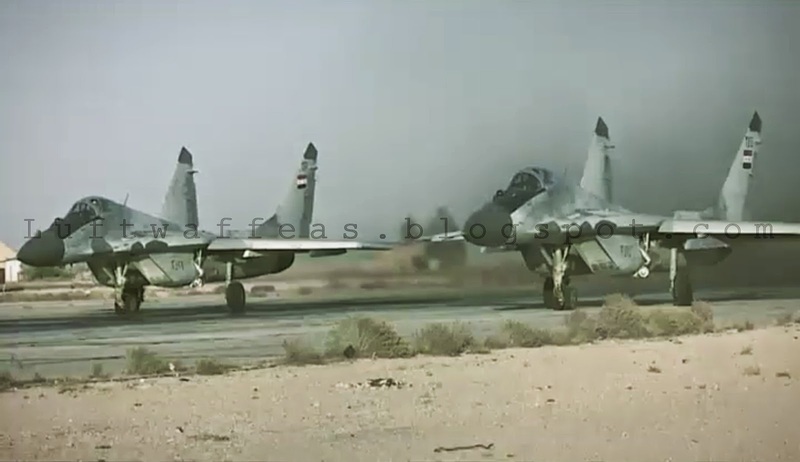 This 3421 MiG-29S which started taxiing out looks in its newly applied camo. 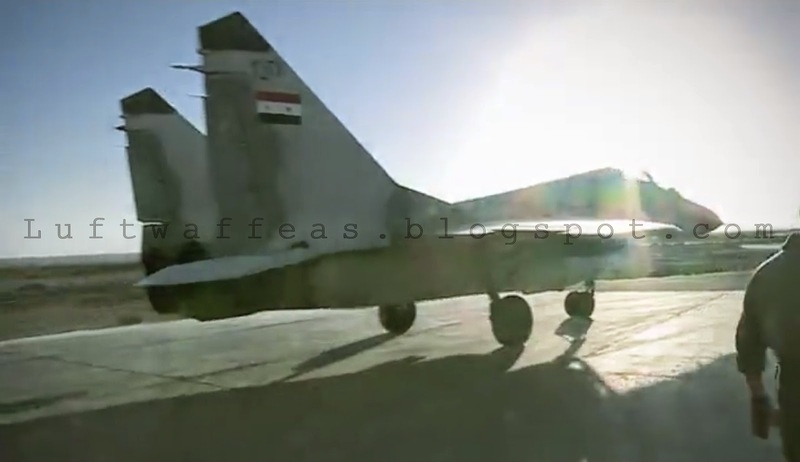 Close shot for the SyAAF MiG-29S serialed 3425. 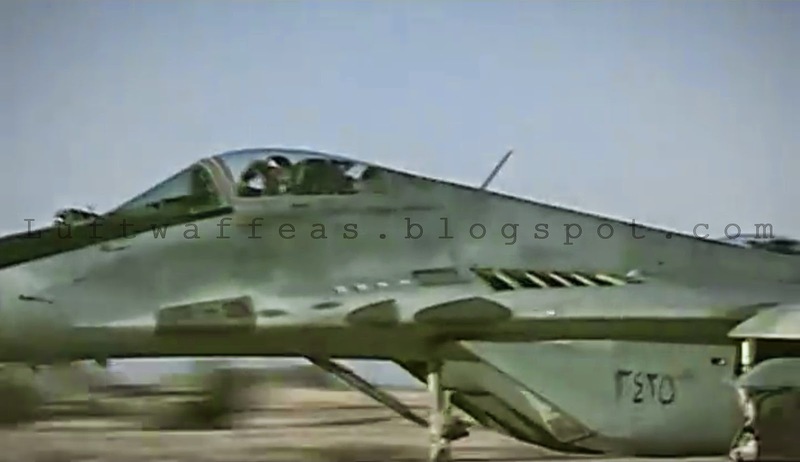 This MiG-29S which serial is sadly hidden by photographer represent what looks to be the original camo with more contrasted Dark/Light Bluish Gray as can be clearly observed by comparing this shot with the one above. Another difference is the absence of the third Black tinted cover under the fixed frontal cockpit shield. What we are eager for...is a single shot at the cockpit of this MiG-29S glorious fighter!